How do you make regional funding in the European Union interesting? With an interactive map - that's how. As a map fan you might already be intrigued by The Pudding's headline Why EU Regions are Redrawing Their Borders. When I tell you that the article is illustrated with a sublime story map then I know you will be hooked. Maarten Lambrechts' report into how some EU countries are gerrymandering their regional boundaries in order to qualify for European Union funding is explained with the use of an interactive map. The map is used to explain how the EU calculates regional aid based on economic development, which EU countries are currently more and less economically developed and how some countries are redrawing their regional boundaries in order to ensure that they qualify for EU funding. As you scroll through the article the story map updates to illustrate these points. I particularly like how the map also updates when you hover over highlighted words in the text. Some words in the map sidebar are highlighted in color. These colors match the colors used on the choropleth map. If you mouse-over these words in the sidebar then the countries matching the selected data range are highlighted on the the map. Later in the story country names are highlighted in white in the text and when hovered over these named countries are also highlighted on the map. The map itself is completely custom made using SVG. This allows the data on the map to be animated to further illustrate how some regions are being redrawn to ensure areas qualify for economic support from the EU. At one point the regions on the map animate into a chart showing the economic development of all the regions in each country (if you scroll back up the page you can watch these points on the chart animate back to form a map of Europe). In Europe capital cities are often more economically developed than the surrounding region. Why EU Regions are Redrawing Their Borders shows how some countries have redrawn their regional borders so that the capital is placed in one region and the surrounding region then becomes another separate poorer region, which then qualifies for EU funding. The German autobahn system includes stretches where motorists are allowed to drive as fast as they want. These speed-unrestricted stretches do have an advisory speed limit of 130 kilometres per hour (81 mph) but going faster isn't illegal (however if a driver has an accident while driving at over 130 kph they may face increased liability). Zeit has used data from TomTom to workout how fast Germans drive on average on each stretch of the autobahn. An interactive map on Where Germany is Racing shows the average speed of all drivers across the autobahn network and the average speed driven by the fastest 10% of drivers. Around 70% of the autobahn has no speed limit. The other 30% has different speed limits depending on certain factors (such as the level of urbanization, the road condition and road safety). Using TomTom's data Zeit discovered that the lower the speed limit the more drivers tend to ignore it. On the sections which have an advisory speed limit (130 kph) then the average speed is 122 kph (75.8 mph). Only 30% of drivers drive faster than 130 kph on the speed unrestricted sections of the autobahn. Only 12% drive faster than 150 kph (93.2 mph). Zeit's online map doesn't allow you to filter the sections of autobahn shown by the average speed of all drivers or the average speed of the fastest 10% of drivers. 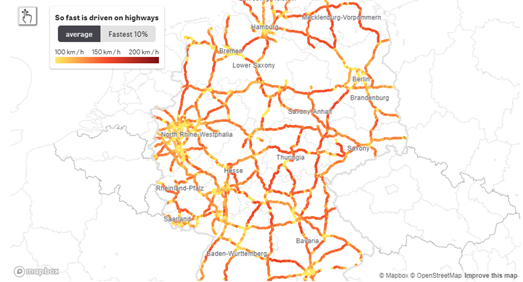 However towards the end of the article Zeit has published a static map which shows the sections of the autobahn network where the fastest 10% of drivers tend to drive on average at over 180 kmh (112 mph) or more. While the governments of the world refuse to take action against climate change you might want to start planning how you are going to cope with the extreme heat of your future summers. Particularly if you live in a large town, city or other large built environment. It has long been known that certain areas of a town or city can be much warmer than other parts of the same town or city. This 'urban heat island' effect is often most pronounced in the summer and on days with extreme heat. If you know where those heat islands are in your town then you may be able to avoid them on the hottest days of the year. Last August (2018) NOAA ran a citizen science project in Washington D.C. and in Baltimore in order to discover if these cities had urban heat islands, and if so, where those heat islands were. NOAA mounted thermal sensors on the cars of a number of volunteers. They then asked the volunteers to drive a set route while the monitors recorded temperatures, the time of the temperature recording and the location. NOAA then used this data to create detailed maps of the hottest and coldest places in each city. In Baltimore on the same day and at the same time some areas of the city experienced temperatures 17 degrees F higher than other areas. In Washington D.C. it was discovered that some areas of the city were 16 degrees warmer than other areas. The detailed maps which NOAA were able to create from the project not only provided proof of the urban heat island effect, it showed where those heat islands were and allowed NOAA to look for common features found in the hottest and coolest locations. In other words it allowed NOAA to explore what causes certain areas in a city to experience more extreme heat than other parts of the same city. You can view the location of Baltimore's and D.C.'s urban heat islands on NOAA's Detailed maps of urban heat island effects in Washington, DC, and Baltimore. Both these two city maps overlay heat maps of the recorded temperatures in each city on top of an aerial imagery map. A swipe control then allows you to closely examine the common features underneath the hottest and coldest areas in each city. You don't need to be an environmental scientist to see that the hottest areas in both cities are the areas with the densest built environment and the most roads. This is a result of un-shaded roads and buildings absorbing heat and then radiating it out to their surroundings. The coolest places in both cities are parks or other areas with tree cover. The dark surfaces of roads and built materials, such as bricks and concrete, absorb more heat than grass and vegetation. Which is why the densest built areas tend to be significantly warmer than areas with tree cover or parks. In order to avoid creating areas that experience a heat island effect city planners can introduce measures which mitigate against the albedo effect of roads and buildings. Roofs can be painted white to reflect heat. Trees can be planted along roadways and parking lots can be replaced with parks (or at least made more green). You can explore the locations of the urban heat islands in your town and city on Yale University's Global Surface UHI Explorer. This interactive map uses our knowledge of what causes the urban heat island effect to predict where urban heat islands will appear in towns and cities around the world. You can read more about the algorithm which predicts the urban heat islands on the interactive map in the paper A simplified urban-extent algorithm to characterize surface urban heat islands on a global scale and examine vegetation control on their spatiotemporal variability, published in the International Journal of Applied Earth Observation and Geoinformation. Google Arts & Culture is an often overlooked resource for viewing vintage maps online. One example of an historically important map which you can view in detail on the site is Leonardo da Vinci's Plan of Imola. An even earlier map which you can explore on Google Arts & Culture is Hanns Rüst's Mappa Mundi (c1480). These two maps were created possibly as little as 20 years apart but they belong to two entirely different worlds. Da Vinci's Plan of Imola, created with his own scientific instruments, belongs entirely to the Renaissance. The map is not only amazingly accurate it would not look entirely out of place in a modern atlas of Italy. 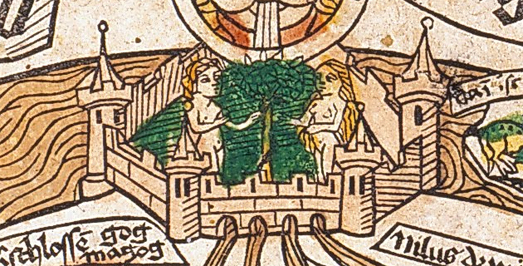 On the other hand Hanns Rüst's Mappa Mundi is a product still rooted in the Middle Ages. It is a picture of the world which owes little to the new thinking of the Renaissance and nearly everything to a religious understanding of the world. The Mappa Mundi, usually attributed to the German printer Hanns Rüst, is a much smaller map of the world than the better known Hereford Mappa Mundi. The Hereford Mappa Mundi stands over 5 feet tall and is over 4 feet wide. The Hanns Rüst map in comparison measures less than 11 x 16 inches. Despite this large difference in size both maps share a number of similarities. Both the Hanns Rüst and Hereford Mappa Mundi are religious maps of the world as much as they are geographical maps of the world. The title of the Hanns Rüst map boasts (in German) "This is the mappa mundi of all the lands and kingdoms which there are in the whole world". However the knowledge which underpins this understanding of the world comes firstly from the Bible and the church. Ezekiel 5:5 says "Thus saith the Lord God; This is Jerusalem: I have set it in the midst of the nations and countries that are round about her." Something that the creator of the map has taken quite literally by placing Jerusalem at the very center of this map and therefore at the center of the known world. Jerusalem appears above European countries on the map. The Mappa Mundi is orientated so that east is at the top of the map. Paradise is also at the top of the map. In Genesis the Garden of Eden is said to be the source of four rivers. This religious knowledge is used to frame the cartographer's understanding of the world. On the map four rivers are shown flowing from the Garden. Most sources claim that these rivers are labelled as the Ganges, Phison, Indus and Nile (however to me it appears that one river is labelled the Euphrates (Eufrates) and another the Tigris). To the left of these four rivers is a mountain range with a single head appearing from behind one peak. The mountain is labelled, "Caspian Mountains gog and magog". The tribes of Gog and Magog are the descendants of Noah's son Japheth. For Christians Gog and Magog often seem to represent the uncivilized tribes of the world. The Book of Revelation says that in the Last Days Satan will rally "the nations in the four corners of the Earth, Gog and Magog, to a final battle with Christ and his saints". Back in the center of the map, around Jerusalem are a number of locations which are probably included on the map as much for their religious significance as for their geographical importance. So, for example, we have Bethlehem, the Mount of Olives and Galilee. Moving out from Jerusalem the map is divided into three continents. These are labelled in red on the map. Asia is shown above Jerusalem (remember the map is orientated with East at the top). Below Jerusalem Europe is shown in the bottom-left corner of the map and Africa is shown in the bottom-right corner. The three continents are also named for Noah's three sons Ham, Shem, and Japeth (see the red outlined labels on the map). At the time it was traditional to identify the three known continents as populated by the descendants of Ham, Shem, and Japeth, as can be seen on early T and O maps. The Mappa Mundi itself contains a form of T and O map. In an inset at the bottom-right we have a T and O map which depicts the division of the world into town, country and sea. To the left of this is another inset which shows the world as consisting of the four elements, wind, fire, earth and water. Back on the main map you can see that the world is encircled by an ocean which contains a number of islands (including in the bottom-left 'engenland'). To the right of engenland are the Columns of Hercules. The Columns of Hercules were believed in ancient times to be located at the Strait of Gibraltar and they marked the western extreme of the known inhabited world. As you move around the outer ocean the islands contain a number of weird and wonderful people and monsters. Outside of the encircling ocean four classical windheads are located at the four cardinal directions of the map. If you were lost in Imola you could without a doubt use Leonardo da Vinci's map to find your way home. If you tried to navigate your way around the world using Hanns Rüst's Mappa Mundi you would soon be lost - unless you are a Christian and you need to find yourself philosophically within the myths and traditions of the Old Testament. In fact the only thing that the two maps have in common is the importance given to the different winds. Around 8 million tonnes of plastic is dumped into the world's oceans every single year. Plastic which is dangerous to marine life and, once it enters the food chain, dangerous to the health of people as well. This plastic comes from homes across the world. Mismanaged plastic waste and waste which is intentionally dumped enters the world's rivers and then flows into our seas. Studies are now beginning to map where this plastic ends up and where it originates from. Litterbase is one organization attempting to collate the results of scientific studies researching the levels of plastic pollution found in the world's oceans. Currently Litterbase provides a summarized overview of the results from over 1,900 studies into the amount and composition of litter and its effect on marine environments. An example of one of these summaries is Distribution of Litter Types in Different Realms, which is an interactive map created from the results of 916 scientific publications on the amount, distribution and composition of litter in the world's oceans. The map shows the results of hundreds of scientific studies carried out in specific locations around the world. It is not a heatmap of marine pollution around the world. It only shows the levels of pollution in the areas where studies were carried out. The markers on the map do show the levels of plastic and other types of pollution detected at different locations across the globe. However there are gaps in seas and oceans where little scientific research has taken place, for example around Africa and the Polar regions. One way that we can fill in these gaps in our knowledge is by modeling the density of pollution in the oceans based on the results of scientific studies. Sailing Seas of Plastic is a dot density map which shows the estimated concentration of floating plastic in the oceans based on the results of 24 survey expeditions (2007-2013) and on wind and ocean drift models. Each dot on the Sailing Seas of Plastic map represents 20 kg of floating plastic. According to the map there are 5,250 billion pieces of plastic adrift on the seas of the world. If you want you can also overlay the sailing tracks of the 24 survey expeditions on top of the dot map. The Seas of Plastic is another visualization of the floating plastic debris that is polluting the world's oceans which is based on ocean drift models. The visualization includes an interactive globe showing the five large circulating gyres of plastic in the North Pacific, North Atlantic, Indian, South Atlantic and North Atlantic oceans. The data for the Seas of Plastic visualization comes from a Lagrangian particle tracking model which simulated 30 years of input, transport and accumulation of floating plastic debris around the world. The model tracks the paths of plastic particles from land to sea and estimates the relative size of each of the five circulatory gyres. 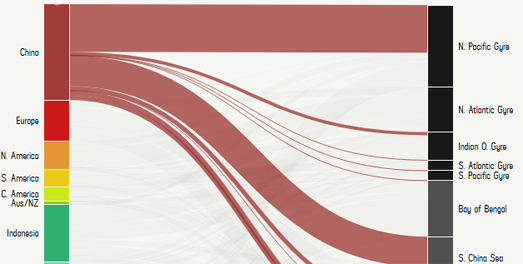 The visualization also includes a Sankey Diagram that shows the amount of plastic debris which different countries contribute to each of these five circulating gyres. This diagram reveals that China is by far the biggest polluter of the world's oceans, followed closely by Europe. The notion that China is the source for a large proportion of ocean pollution is supported by the Ocean Cleanup campaign. The Ocean Cleanup organisation believes that between 1.15 and 2.41 million metric tons of the plastic in the oceans originates from the world's river systems. Two thirds of it from the rivers of Asia. To help explain how and where plastic ends up in the world's oceans the Ocean Cleanup has released an interactive map, River Plastic Emissions to the World’s Oceans. This map shows river systems around the globe. The predicted input from each river system is shown at the coast using scaled circular markers. These predicted inputs are based on a model which looks at population density, waste management, topography, hydrography, the locations of dams and the reported concentration of plastic in rivers around the world. You can learn more about how the plastic you place in your trash ends up in the world's oceans in a National Geographic story map. In What Happens to the Plastic we Throw Out National Geographic explains how domestic plastic trash ends up polluting a remote island in the middle of the South Pacific. As you progress through National Geographic's story a background map of the South Pacific shows the levels of mismanaged municipal plastic waste produced by countries on the Pacific Ocean. Much of this plastic waste eventually ends up in the Pacific. Carry on scrolling and the map updates to show the levels of plastic waste entering the ocean from rivers in Asia and North, Central & South America. National Geographic identifies the Yangtze River as the most polluted river in the world. Most of the pollution from the Yangtze eventually ends up in the Pacific by way of the East China Sea. The background map animates the modeled pathways of marine debris to show how the plastic from the world's rivers ends up creating the huge plastic gyres which are polluting our oceans. Tiltshift is an interesting experiment in creating an interactive map with a tilt-shift effect. Tilt-shift is a technique which is often used in photography to make subjects appear miniaturized. You can view some example photographs with a tilt shift effect applied, and even add a tilt-shift effect to your own photographs, at Tilt Shift Maker. Many moons ago I created something similar for adding a tilt-shift effect to Google Maps Street View images. Unfortunately because of Google's new extortion racket API charges that little application no longer works. However, thanks to the post that I wrote for Maps Mania on this technique, I do still have a screenshot. "... one Street View layer on top of another Street View of the same scene. You can then use CSS filter transparency to create a masking effect. If you add this transparency filter to a horizontal band in the top Street View you can see the bottom Street View through this band. Then all you have to do is add a CSS blur filter to the top Street View. The effect is a Street View that is blurred (apart from one horizontal strip) creating a reasonable tilt shift effect". If you look at the html code for the Tiltshift map you can see that something similar has been done to apply the tilt-shift effect to this interactive map. One Mapbox map layer has been overlaid on top of another map layer. The top map has a transparency style applied to it so that you can partly see the map beneath through it. A linear gradient has also been applied to the top map so that the transparency is greatest along the middle of the map. A blur effect has also been applied to this top map. The result is that the top and bottom of the map is slightly blurred while the middle band isn't blurred. I think the effect is improved on the Tiltshift map if you offset the pitch of the map a little. You can do this by pressing down on your mouse's right button and dragging up or down. Life expectancy in the UK and the USA is falling, bucking a century long trend of people living longer lives. The CDC says that between 2016 and 2017, the average life expectancy in the US fell from 78.7 to 78.6 years. In the UK this year the Institute and Faculty of Actuaries (which calculates life expectancy for the UK pension industry) cut the average life expectancy of people in the UK by a whole six months. That follows the two month cut in life expectancy it announced last year. So why is life expectancy suddenly falling for the first time in over a hundred years? Creating choropleth maps of average life expectancy can show us where people are living shorter lives on average. For example, the UK's Office for National Statistics has released information on the Health State Life Expectancies 2014 to 2016, which examines life expectancy in each area of the UK. This ONS report includes two interactive maps; one visualizing life expectancy in each local area in the UK and the other showing the gain in life expectancy in each local area since 2001-2003. The map reveals that the best places to live if you want a long healthy life in the UK is Richmond upon Thames if you are male (69.9 years) and the Orkney Islands if you are female (73.0 years). The worst places to live are Dundee City for males (54.3 years) and Manchester for females (54.6 years). So why are men in Richmond upon Thames expected to live longer than men in Dundee and why are females in the Orkney Isles expected to live longer than women in Manchester? The answer isn't just geography or climate. Time and again maps of life expectancy show us that life expectancy can vary by huge amounts even between neighborhoods which are very close together geographically. Quartz's Life Expectancy Map reveals the average life expectancy in nearly every US neighborhood. According to the map people who live in New York's Chinatown have a life expectancy of 93.6 years, while people who live in nearby Roosevelt Island have a life expectancy of just 59 years. Obviously it is not the climate in Chinatown that is helping its residents live longer than people on Roosevelt Island. You can view the life expectancy at birth for each county in the USA on the University of Washington's US Health Map. A choropleth layer shows the life expectancy for every county in the country. FiveThirtyEight has used the same data (life expectancy at birth 1980-2014) to compare the life expectancy in each state to the U.S. average. Life Expectancy in Each State vs. U.S. Average reveals which U.S. states have higher or lower life expectancy than the country average. It also shows which states are improving or falling behind over this time period compared to the country average. Again these maps show that there can be huge differences in life expectancy even between neighboring counties. To find out why people in some areas are now expected to live significantly shorter lives than people living in other areas we need to look at the underlying demographics of these areas. We need to explore some of the economic and demographic data which might begin to explain why some people are living longer than other people who live close by. In the UK the University of East Anglia argues that health inequality is a major cause for the higher rates of premature mortality in some areas of the UK. The UEA's Year's Lost interactive map shows how many years of life are lost in each local authority area in the UK. The UEA's research shows that the rates of premature mortality are twice as high in the most deprived areas of England when compared to the rates in the most affluent areas. In other words wealth (or lack of wealth) is a major factor in how long you can expect to live. NBC News' map of How Long People in Your City Are Expected to Live reveals some of the underlying demographic and economic data which might begin to explain some of the huge differences in life expectancy between close neighbors. NBC's map colors each census tract by the average life expectancy. However if you click on a census tract on the map you can also view information on the median annual income, the percentage of the population without health insurance, the percentage without a high school diploma, the percentage of the population unemployed and the racial composition of the local population. This extra economic and demographic data allows you to explore for yourself some of the possible causes of lower life expectancy. In fact NBC News have themselves provided a number of examples where census tracts in close proximity have vast differences in life expectancy. In Los Angeles they show how one tract in Palo Verdes has a life expectancy of 86.4 years, while a nearby tract in Long Beach has a life expectancy of 73.3 years. In the Palo Verdes census tract the average median income is $175.536, while in the Long Beach neighborhood the average income is $54,167. Time and again the map reveals that areas with a high life expectancy are likely to have a high average income and areas with a lower life expectancy usually have a lower average income. In fact Associated Press' analysis of the National Center for Health Statistics' data on life expectancy found that on average life expectancy increased by six months with a $10,000 increase in median income. They also found a strong correlation between life expectancy and race. On average life expectancy decreased by eight months with a 10% increase in the black population. What appears to be clear is that in both the USA and the UK average life expectancy is beginning to fall. None of these maps provide evidence that this falling life expectancy is a result of the middle-class squeeze in the USA and the UK. However it is apparent that those areas in both countries with the lowest life expectancy are on average the most deprived areas. In other words there is a high level of health inequality in both the USA and the UK. Berkeley Earth claims that 1.6 million people are dying from air pollution every year in China alone. Berkeley Earth is a non-profit organization who are investigating evidence of climate change. As part of that task they have released a real-time map of air pollution around the world. The Real-time Map of Air Pollution shows real-time information on particulate matter air pollution less than 2.5 microns in diameter (PM2.5). The data for the Berkeley Earth air pollution map comes from thousands of surface monitoring stations across the globe. The map typically shows data from about two hours behind real-time. As you will probably see when looking at the map large areas of China and India typically experience dangerous levels of air pollution. If you hover over an area on the map you can read an assessment of the current air pollution conditions at that location. Berkeley Earth also maintains a number of databases on historical global temperature records. 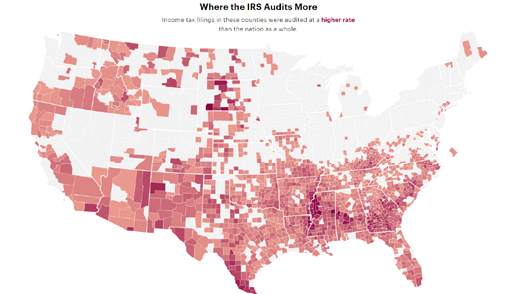 There are some interesting mapped visualizations of this data. For example Lisa Charlotte Rost has used historical temperature data from Berkeley Earth to visualize how much the average temperature has risen or fallen in every European city since 1960. The interactive map in Which European cities have gotten warmer? (Spoiler: All of them) uses colored markers to show the average temperature difference in European cities. If you hover over a city's marker you can view the name of the city and the number of degrees centigrade that the average temperature has risen in the city since 1960. Axios also used Berkeley Earth data to create an animated map of summer temperatures, All the heat records broken this summer on one map. Axios' map uses data compiled by Berkeley Earth from May 1 through July 31 2018. The map animates through this time period plotting all the locations around the world which experienced a daily, monthly or all time temperature record. The overall picture at the end of the animation, showing all the records at once, is a stark illustration of how practically the whole of the northern hemisphere experienced record breaking temperatures last year. It seems to have become accepted knowledge that the current map of the London Underground is too cluttered for purpose. A lot of cartographers have therefore been tearing their hair out recently by trying to redesign the London Tube Map. All of them have missed the obvious solution. The reason why the London Underground is now so hard to map is that the network has too many lines and too many stations. My solution is to therefore demolish all London Underground stations built after 1900. The London Underground in 1900 was a much smaller and much more manageable public transport system. It was also much easier to map. In fact it is small enough to make an animated map which shows the development of the network from 1863-1900. The London Underground began when the Metropolitan Line opened in 1863 with seven stations between Paddington and Farringdon. By 1990 the network had grown to include a District Line and the beginnings of the Northern Line. You can see how the London Underground grew in its first 40 years on my History of the London Underground. If you press the 'Start' button on the map the London Underground lines will start to appear on the map in the order in which they were constructed. The animated tube lines were created using the Leaflet.Polyline.SnakeAnim. If I ever have a spare month I might get around to adding the next 118 years of construction to the map. If you want to complete the map or reuse the code then you are welcome to do so. You can clone the project on Glitch. Oceans and seas around the world are facing growing levels of environmental threat from human activity. These threats include industrial scale over-fishing, plastic & other pollution and deep sea mining. Scientists are now calling for at least 30% of the world's oceans to be protected as ocean sanctuaries. Greenpeace's new Ocean Blueprint interactive map visualizes how a network of ocean sanctuaries could be established to protect marine life around the globe. The map includes three 'Protection' layers. One shows the 5% of the world's oceans currently protected. A second layer shows a plan for how the 30% target could be reached. The third layer outlines a large-scale protection plan which would protect 50% of global oceans. This plan would increase the resilience of ocean eco-systems in facing the threats of climate change and acidification. The Ocean Blueprint also includes a number of 'Threat' layers. These layers allow you to view the global threats from industrial scale fishing, deep sea mining, plastic pollution and climate impacts. These threats to the health of the world's oceans endanger not just marine life but the ability of the ocean to capture and store carbon. The World Water Atlas is a project from the Netherlands which is identifying the multifaceted risks related to water across the globe. As climate change increases the chances of environmental disasters around the world the World Water Atlas is documenting the dangers of too much, too little and too dirty water. Because of global warming the seas are rising and many areas of the world are witnessing record levels of flooding. However 2 in 5 people around the world are still affected by water scarcity. Those who do have access to water often only have access to unclean water. In fact the drinking water of more than two billion people is contaminated by feces. The World Water Atlas includes stories from around the world where people have been impacted by 'too much', 'too little' or 'too dirty water'. The markers on the World Water Atlas 3D globe are categorized into 'too much', 'too little' or 'too dirty water'. If you select one of the markers on the map you can read more about how these three different water risks are affecting the lives of people around the world. You can filter the category of markers shown on the globe from the map sidebar. In December of 2017 President Trump reduced the size of the Bears Ears National Monument by 85%. The Post article uses aerial imagery to map the size of the Monument before and after Trump's reduction. The boundary of the monument before and after the reduction is shown on top of an aerial view map. Many areas of important historical and scientific interest now lie outside this boundary and are no longer protected by having Monument status. One of the areas now under threat is an ancient cave dwelling. The Washington Post has used drone captured imagery to create a 3D model of this Pueblo cliff dwelling, which explores the dwelling up close and in detail. The article also includes a photo map of an etched cliff wall near the San Juan River. The article zooms into sections of this cliff wall to show some of the amazing drawings which were etched onto the wall, up to 6,000 years ago. The photo of the cliff wall has been made into an interactive map, so you can actually explore the cliff etchings on your own. The interactive map includes markers which include explanatory notes from archaeologists Sally Cole and Jonathan Till. It is worth reading the article for this map alone. Usually I'm not a huge fan of 3D bar charts on maps. However the 3D data towers on Global Temperature Anomalies do reveal some interesting patterns in climate change around the world. Global Temperature Anomalies shows where temperatures around the world are above or below the long-term average temperature for every year since 1950. You may have heard the news this week from Canada's Environment and Climate Change Department that Canada is warming at twice the rate of the average across the rest of the world. Climate scientists have been aware for a number of years that the Arctic is also warming more than the global average. This pattern of higher than average temperature changes in the extreme north of the planet is apparent on the Global Temperature Anomalies 3D globe. The temperature towers on the globe are colored to show whether temperatures in the selected year were higher or lower than the long-term average. The height of the towers reflects the scale of the temperature anomaly recorded. If you spin the globe around you can see that there is a distinct bulge at the Arctic. This reveals that the temperature anomalies being recorded here are bigger on average than the rest of the world. It is an interesting way to visualize this geographical pattern in global warming. However I still think this pattern could be more clearly visualized using a 2D choropleth map (using a polar projection). This morning I've been taking a gentle virtual drive around the Shinjuku area of Tokyo. My virtual drive was made possible by 'Map Fan Traveling Image', an interactive map created by Increment P. Increment P is a Japanese mapping company which provides map data for the car navigation system industry. One way in which Increment P collects this mapping data is by driving survey vehicles around Japan. These survey vehicles are fitted with cameras which continuously take still images while they drive. MapFan Traveling Image is an experimental map which uses these images to provide a 'Street View' type tour of Tokyo. MapFan is currently preparing an API which will provide access to the company's 'street view' images. MapFan Traveling Image is a demo of what this API will provide. At the moment the demo allows you to explore the imagery captured by Increment P's survey cars in the Shinjuku and Ikebukuro neighborhoods of Tokyo. The demo allows you to virtually drive around the two neighborhoods steering the survey car as you go. If you click play on the street view image on the Traveling Image map you can sit back and watch as the map takes you on a virtual drive around Tokyo. As the images play the map automatically moves to keep you centered on the location shown in the current image. You can change the direction that you are facing by clicking on the arrow on the Street View image. This allows you to either have a 'rear view mirror' view of your journey or a forward looking view. When you are approaching an intersection left and right arrows appear on the Street View image which allow you to steer the car and change direction. The National Library of Scotland's 3D Map Viewer is a great tool for viewing georeferenced maps from the library's historical collection. The National Library of Scotland has digitized thousands of old historical Scottish maps. The library's 3D Map Viewer allows you to explore these vintage maps from a unique bird's eye view. In the 3D Map Viewer the vintage maps are draped over an elevation model, which allows you to see the terrain of the areas being mapped. Recently the library added a new slide control which allows you to control and change the vertical exaggeration of this terrain model. By exaggerating the elevation it is possible to explore subtle changes in the terrain. The 3D Map Viewer also includes a transparency control which allows you to adjust the opacity of the vintage map. Using this transparency control you can adjust the visibility of the overlaid map and even turn off the map to explore the modern map imagery underneath. Two drop-down menus in the map sidebar allow you to browse the library's collection of vintage maps and to select a historical map to view with the 3D Map Viewer. Last year there was a three fold increase of measles cases reported in Europe than in the previous year. The main reason for this increase is the gaps in the vaccination rates of children against the disease. Many of these gaps are caused by misinformed parents who refuse to allow their children to be vaccinated. Measles in Europe is a story map which shows the latest incidence rates of measles in European countries. It also explores some of the reasons why most European countries have seen such huge increases in measles cases. The data for the map comes from the World Health Organization. This data only includes the number of reported cases of measles in each country. The actual number of measles cases is probably much higher across the whole continent. The Measles in Europe story map was made using the Leaflet.js mapping library. 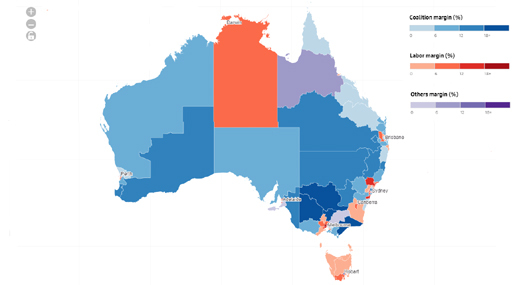 If you are interested in how to make a similar choropleth map then you should follow the Interactive Choropleth Map tutorial on the Leaflet website. The story map element of Measles in Europe was adapted from Mapbox's demo map Fly to a Location Based on Scroll Position. Feel free to re-use and adapt this story map as you see fit. The code for the map can be viewed, adapted and copied on Glitch. The Center for Digital Research in the Humanities is attempting to map who lived in 1820's Washington D.C.. Their interactive map Early Washington, D.C. uses data from the 1822 city directory to map the names, occupations and homes of people living in the city in the early part of the 19th century. Using the map you can explore who was living where in 1820's D.C. and what jobs they did. The 1822 city directory includes details on the home and business addresses of about 2,000 people living and working in Washington D.C.. The 1820 census recorded 13,000 people living in the city, so the map shows a little over 10% of the population in 1820's D.C.. 'Early Washington D.C.' shows the locations of the city's residents on top of a vintage map of D.C.. This map is S. A. Elliot's 1822 Plan of the City of Washington from the Library of Congress Maps Collection. 'Early Washington D.C.' was created as part of the 'O Say Can You See: Early Washington D.C., Law and Family' project. This project is documenting the challenges to slavery in early Washington D.C.. As part of this project it is collecting and digitizing documents from the early 19th century, including the city directories. If you enjoy learning about how people lived and work in the 19th century then you might also be interested in the New York Public Library's NYC Space/Time Directory. The library are calling this project 'a digital time-travel service for New York City'. The project is using historical maps, photographs, newspapers, business directories, literary references, census data, and much more in order to help create 'a searchable atlas of New York City's past'.